Educate NY Now! hosted a rally attended by roughly 100 educators and community members yesterday in front of the Dennison Building on Veterans Highway in Hauppauge. 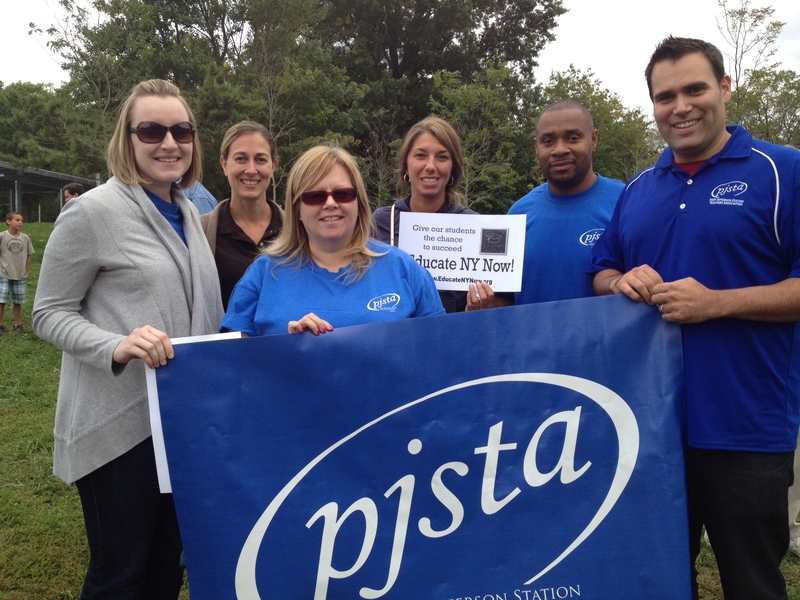 Thank you to Christine Hegyi, Laurie Tilmont, Debbie Rosenquist, Tony Sylvain, Nicole Taormina, Mark Karwoski, and Brian St. Pierre for representing the PJSTA at the rally.